Spring has at last sprung in Scotland. The outside thermometer in my lovely Skoda Octavia (that’s a car to any US readers) read 15C on Monday: this is sometimes a top temperature in July. I had planned on making a soup today, and had already bought all the ingredients. 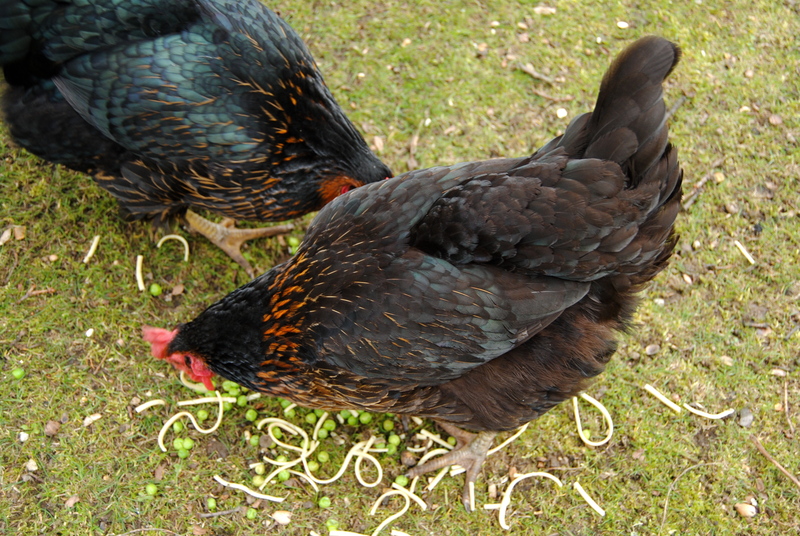 But I must admit to being sorely tempted to crack on with a delicate spring salad. I stopped in my tracks however, afraid that I would jinx us all, unleashing a torrent of plant-ripping hail and sky-scudding storms. And anyway, there is enough spring in this soup to fit comfortably with the unaccustomed sun and warmth yet cover the still-cold nights. Versatile, or what? 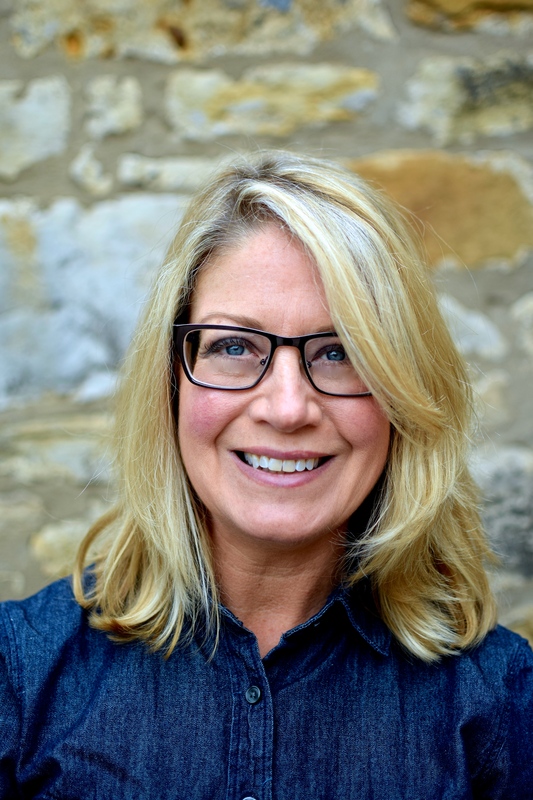 Science bit: I have indulged a bit in the ol’ nutrition stuff lately so I will calm down and try not to scare off you folk who are tuning in just for the nosh. Suffice it to say that leeks are the stars in this soup and that watercress comes a close second, but only because of the smaller amount. Not much research exists on leeks as they get lumped in with their fellow alliums, onions and garlic, but they are certainly useful to anyone wanting to eat more healthily. An Italian study noted rates of mouth, esophageal, colorectal and stomach cancers were lower the more alliums one consumes. Eating the equivalent of 1/2 a cup of alliums (leeks, onions, garlic, chives etc) per day is thought to be a health-promoting amount. It is certainly achievable if you make most of your own meals from scratch, but even adding sauteed onions, leeks or garlic to a bought meal is good. To get the most from your alliums, ‘box and cox’ (US readers, look that one up) between having them cooked and raw. Another tip: after cutting, leave alliums ten minutes as this develops the anti-carcinogen compound allicin. 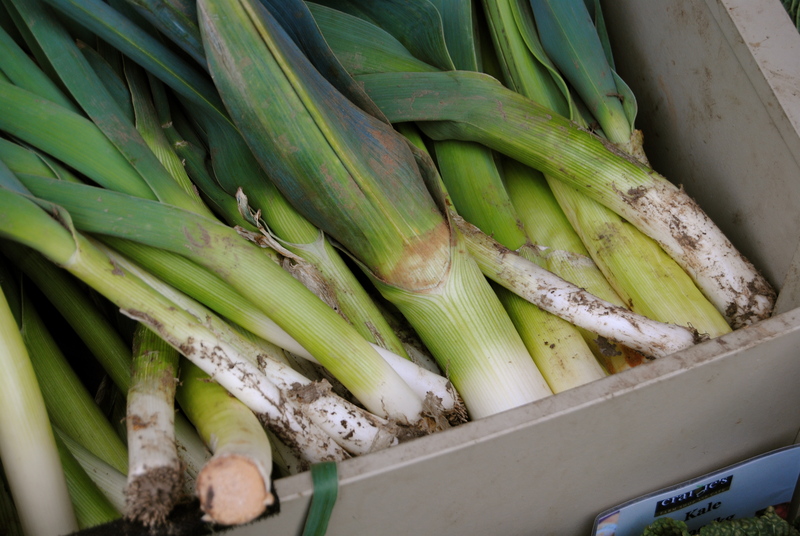 Leek’s main nutrients are interferon-boosting manganese, Vitamin C, iron, folate, vitamin B6 and fibre. The cardiovascular benefits of alliums are more studied than for cancer, with numerous polyphenols known to help keep heart-damaging homocysteine levels low, blood vessels supple, cholesterol low, and protect blood vessels from free radical damage. For those who ‘know their onions’ (groan), but want to know more, click here. This is a tail-end-of-winter soup, with a hint of spring. Sweet local parsnips are almost finished and edging towards being woody, but maincrop potatoes, leeks and watercress are in full swing. I’m only just tiring of the heartier winter veg such as parsnips and swedes, but here in Scotland we have a wee while to go before our springier crops are ready for harvesting. While winter and spring battle it out on the weather front (spring is winning today – hooray! ), hedge your bets and try this mixed season soup. Please don’t hunt around for the parsnips if they aren’t available, just up the potato: I happened to have some parsnips and liked the sweetness they added to the soup. Garnish with frazzled thin-cut pancetta if you like, or even garden chives that may be peeking through just now. What To Do: Take the leeks and cut away the tough darker green leaves. 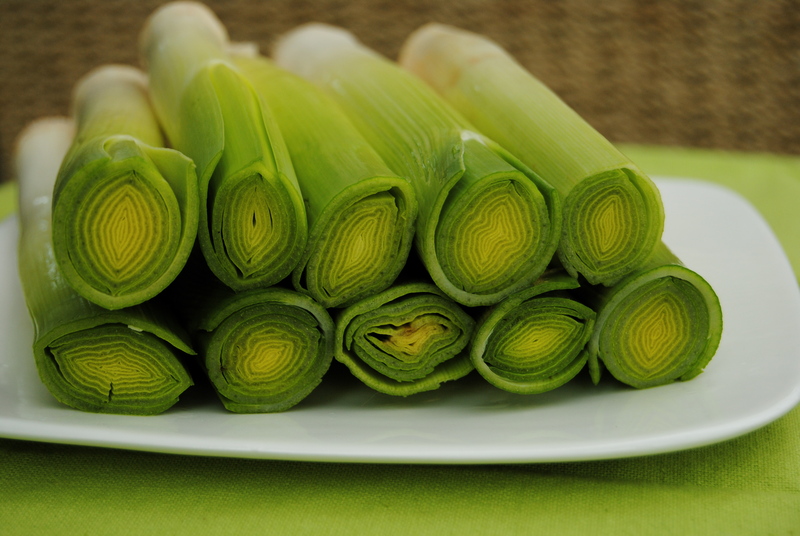 The easiest way to slice leeks is to cut them lengthways and then again so you have four long pieces for each. Gather them up and slice them thinly. Pop them in a colander and give them a good rinse to get out any grit. Supermarket leeks are usually pretty grit-free but farm shop or vegetable box/CSA leeks will always have some clinging in there. It looks creamy and delicious. I want to have a bowl of soup like that. Plus, potatoes are my favorite add-ins for soups. 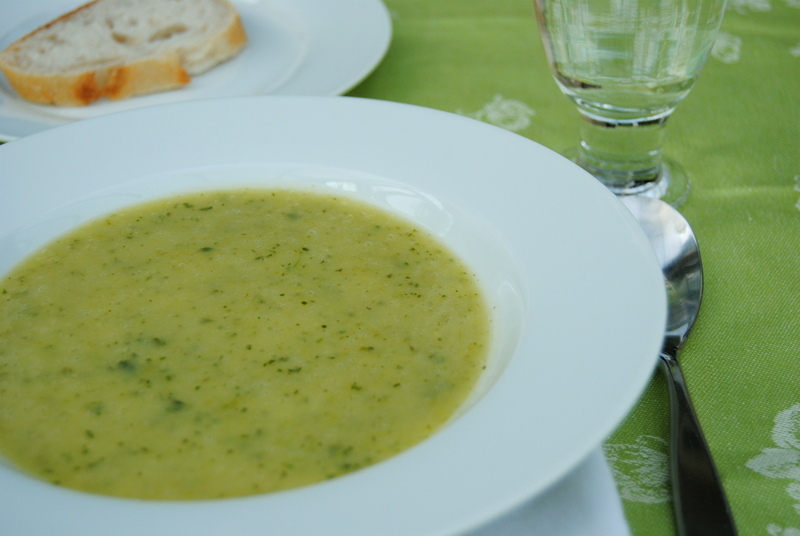 I love leek and potato soup and this looks like a great new twist on it. I really like the idea of using full cream milk instead of adding cream to keep fat content down. Found the ‘wait 10 mins’ tip extremely interesting and valuable. Thanks! Yeah, a good quality, organic full-cream milk makes a wonderful lower-fat alternative to cream in soups. Don’t like drinking the stuff but it’s useful for giving a luxurious taste to smooth vegetarian soups. The organic stuff will also have less nasty residues and hormones, and more inflammation-fighting Omega 3.